Any restaurant or food service business could make great use of this single deck convection oven. Convection ovens are the preferred type of oven in the food industry. It uses hot air currents for cooking, which cuts cooking time by 50%, and reduces temperatures by 30%. 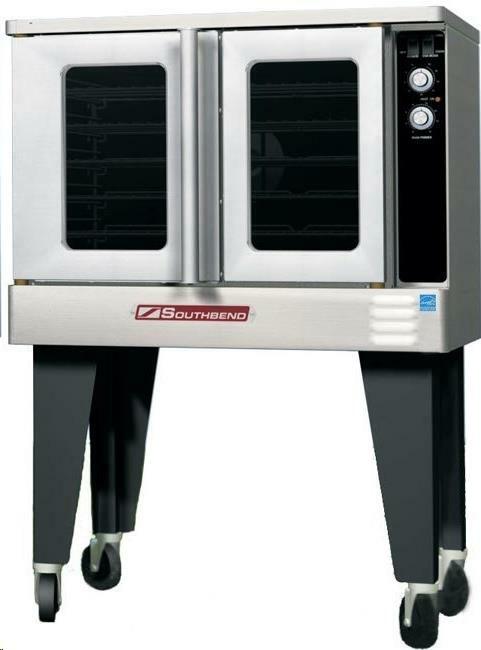 This single deck convection oven is ideal for baking casseroles, light meats, and bread items. It has a 60 minute timer for accurate cooking, and an easy access control panel that can adjust the thermostat heat from 140 to 500 F. It's NSF Certified and ENERGY STAR approved. It's great for school dining facilities, cafeterias, and other casual dining establishments. * Please call us with any questions about our propane convection oven rentals in Falmouth MA and Cape Cod.